Highlight and illuminate your skin instantly with the Revlon Photoready Insta Fix Highlighting Sticks. This mistake-proof highlighting stick is perfect for highlighting on virtually any skin tone. Featuring Revlon's innovative light filtering technology, it creates a radiant glow from shade matched pearls that enhances the skin's luminosity. Delivers a professionally re-touched and effortless contoured look. 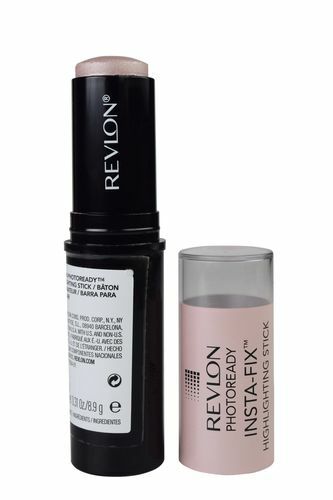 Alternatively, you can also find many more products from the Revlon Photoready Insta Fix Highlighting Stick range.